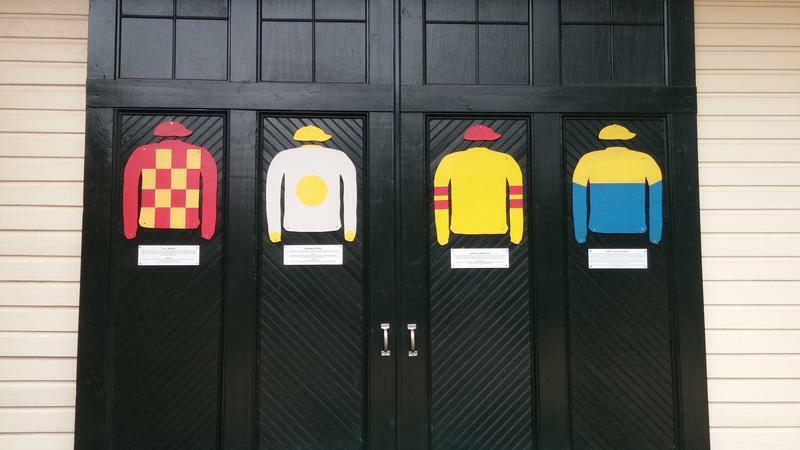 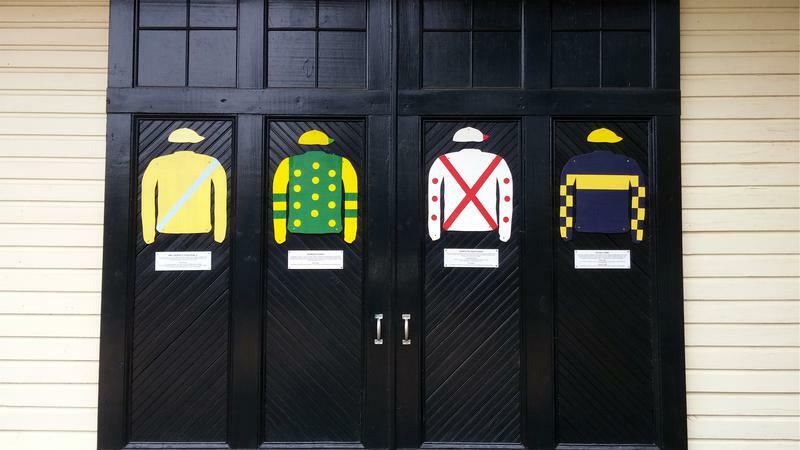 The Courtyard of Champions features the races silks of the owners of the 40 champion racehorses that are honored in the Hall of Fame. 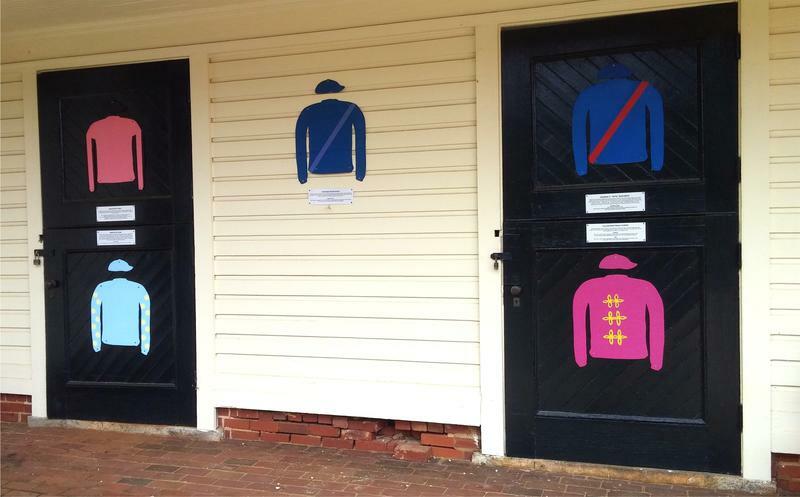  Below each racing silk is a plaque with information about the owner and Aiken’s champion Thoroughbreds that raced for them. 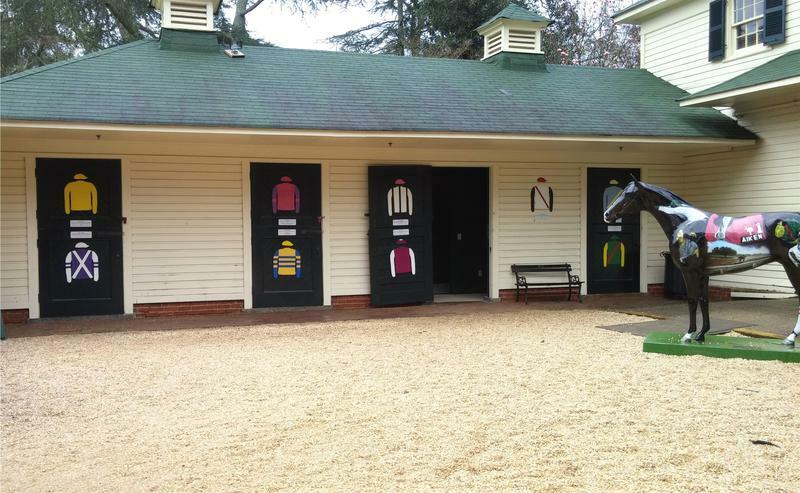 This provides an educational opportunity for visitors who might stop by the Hall of Fame during off business hours.